The retailer and esports venue have partnered to bring competitions to physical store locations, as well as on a line of gaming PCs. 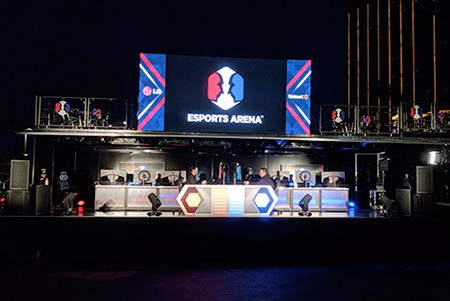 ESA (not to be confused with the Entertainment Software Association, which goes by the same abbreviation) has physical locations in California and Nevada, as well as a mobile 18-wheeler ready for a tournament at a moment’s notice. Now Walmart customers in Colorado Springs, CO, Roseville, CA, and Spokane, WA can visit in-store Esports Arena hubs, with two more planned at undisclosed locations, according to Variety. The Walmart facilities have scheduled league nights, competitions, and open play hours, so esports pros and customers can practice and mingle while also getting some shopping done. Aside from getting competitive gamers into its stores, this savvy business move lets Walmart promote its line of gaming computers, Overpowered by Esports Arena. These laptops and desktops, which range in price from $999 to over $2,000, are loaded with Nvidia graphics cards and high-end components, and they’ll be used during in-store competitions. Walmart is one of the most popular retailers in the United States, so this partnership is a step forward for esports’ continuing efforts at going mainstream. The Olympics may still be dismissive of competitive gaming, but more and more organizations are taking esports seriously, including ESPN. Sure, Esports Arena is only in a handful of stores for now, but who knows? Before long you might be going to your own local Walmart for a round of high-stakes Fortnite before heading to another row to finish your grocery shopping.